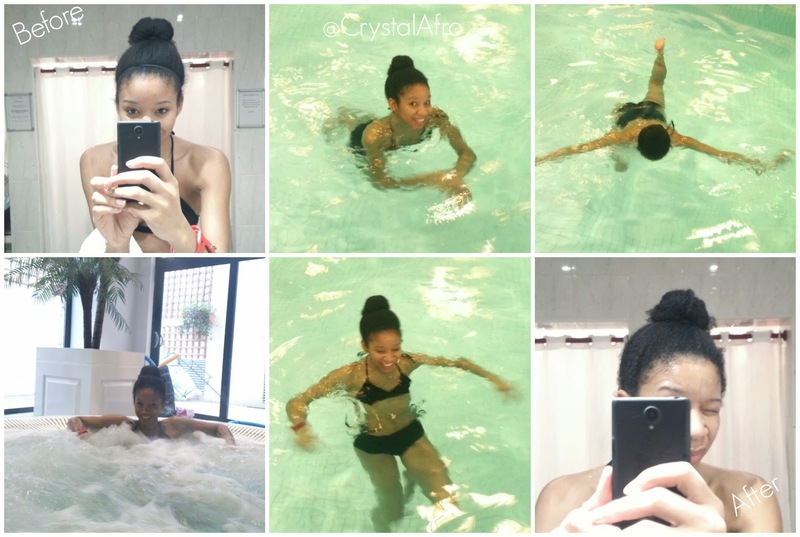 UNITED KinKdom: HOW NOT TO GO SWIMMING WITH NATURAL HAIR! HOW NOT TO GO SWIMMING WITH NATURAL HAIR! I've had a lot of people ask me about hair care for women who swim, and I've had to be honest, I rarely do any exercise and I have a mild fear of water, so other than what I've read and researched from other people, I couldn't really say. However, yesterday morning after spending the night in a hotel for a family celebration, I decided to make the most of the facilities including the swimming pool, hot tub, and sauna. It turns out I haven't actually been swimming since I went natural (which is nearly 3 years ago), so despite my research I ended up taking a completely reckless approach to my 1st swim with natural hair - and I absolutely loved it! 1. Do not blow dry your hair on a high heat, in a rush, the evening before! 2. Do not forget to bring a conditioner into the changing room! 3. Do not leave your hair dry and unprotected before getting into the pool. 4. Do not use one of your expensive leave in conditioners to generously smother on to your hair after you get out of the pool, in a desperate attempt to avoid it drying out from the chlorine. Alternatively, I would suggest taking some tips from more experienced swimmers/bloggers with natural hair. 1. Soak your hair before you swim. Try coating it in an oil/ shea butter too. 2. Cover your hair with a latex/stocking cap before putting on your swimming cap. 3. Use a shampoo and conditioner to get rid of the chlorine after your swim. 4. Use the correct shampoo to cleanse your hair. 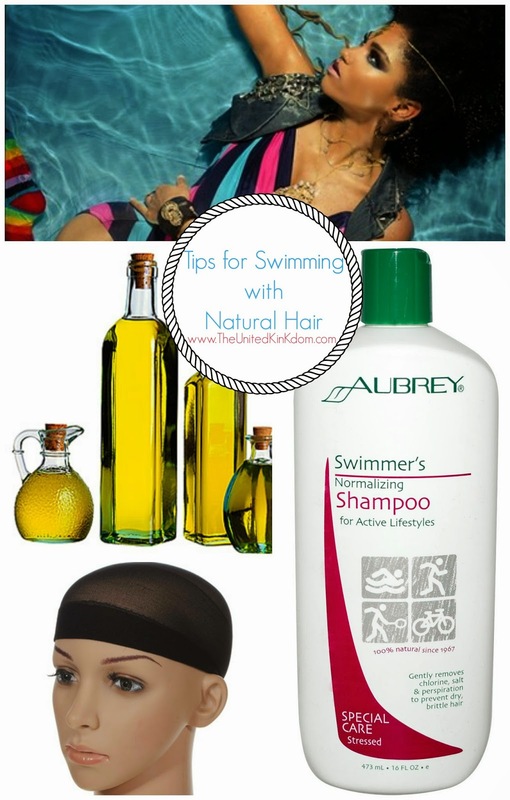 I've pinned some of my favourite articles about swimming with natural hair to my Hair Care Board on Pinterest. Check them out to find out more >here<. Also, check out this complete guide by @Naptural85.